The fact that you are reading this tells me that you likely prioritize your happiness. But just in case you think it’s slightly frivolous and self-indulgent to think so much about your own happiness (I know I did), it is prudent to remember that you are impacting the happiness of those around you more than you think. We all want a happy family. That is universal. What Rubin explains is that emotional contagion operates, unfortunately, more powerfully for negative emotions than for positive emotions. Applying Rubin’s lessons on how to be happier may be the best gift you can give your family. I had an ah-ha reading this book. My roommates in university were always (and still are) so darn happy! I always thought they just lucked out in the gene pool. Rubin points out however that genetics account for about fifty percent of our happiness. Life circumstances such as age, gender, ethnicity, marital status, income, health, occupation, and religious affiliation account for about ten to twenty percent—and the remainder results from how one thinks and acts. You may have a defined happiness range, but what you choose to do and how you choose to think can push you to the outermost limits of your range. Perhaps my roommates were just more dedicated to being happy than I was. It’s easier, Rubin says “to complain than to laugh, easier to yell than to joke around, easier to be demanding than to be satisfied” (259). It takes more energy, generosity, discipline and effort to be happy than to be unhappy. Rubin assures us from the start that she doesn’t have a new secret of happiness. That has been studied for thousands of years and laid out by some of the most brilliant minds in history. What is key, she teaches, is the application of those laws. Just like we all know the secret to losing weight is to eat better (usually less!) and exercise more: it’s the application that is challenging. 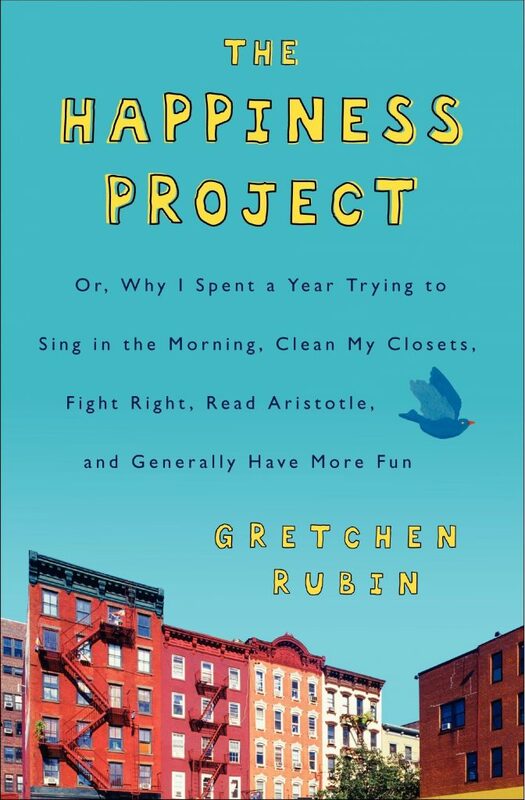 Rubin created a ‘happiness project’ as an approach to changing her life. Can it work for you too? Yes! * And likely not the same exact way it worked for her. But this book gives you plenty of inspiration to create your own path to greater happiness. *Of course the ideas she presents do not address depression. Rubin explains that the opposite of happiness is unhappiness, not depression. Depression is a grave condition that occupies its own category. Examining the causes and remedies for depression are well beyond the scope of this book.